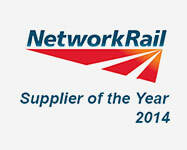 Story Contracting has been recognised as Network Rail’s Supplier of the Year for 2014. The rail division of Story Contracting carry out a wide range of works across the rail infrastructure including bridge replacements, station re-furbishments, track re-laying, earthworks, drainage and structures painting. The award was presented by Mark Carne, Chief Executive of Network Rail at London’s South Bank. Story Contracting were also awarded ‘Best Small Project’ for their upgrading of the Merseyrail slab track. Winning the top award of the year has come at a good time for Story Contracting’s rail division as Network Rail are about to award multi million pound 5 year framework contracts to their supply chain, and securing those frameworks would bring further growth to the company and would bring jobs to Cumbria to support that growth. 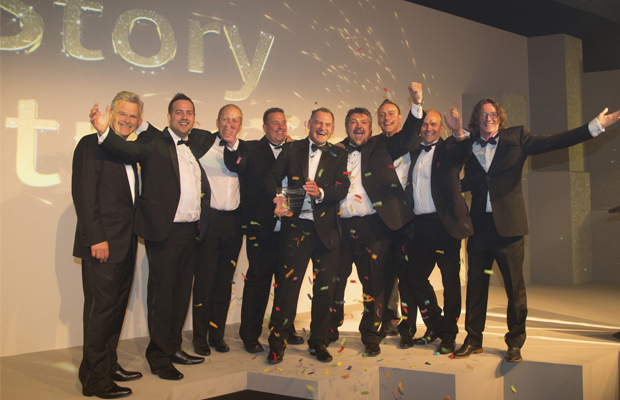 The award recognises safety, collaborative working and quality and value of delivered product. Story Contracting also carry out construction works in Cumbria and South West Scotland and provide specialist plant hire to the rail industry with depots in Edinburgh and Yorkshire. They have recruited 65 additional staff in the last 12 months and expect to step up their recruitment drive in the next six months with expected vacancies for engineers, quantity surveyors, project managers, road rail machine drivers, skilled operatives and support staff. “Story Contracting has ambitious plans and is a great place to work for people who want to go places. We have a high performance, high reward culture and this award has certainly added to the buzz of the business”.